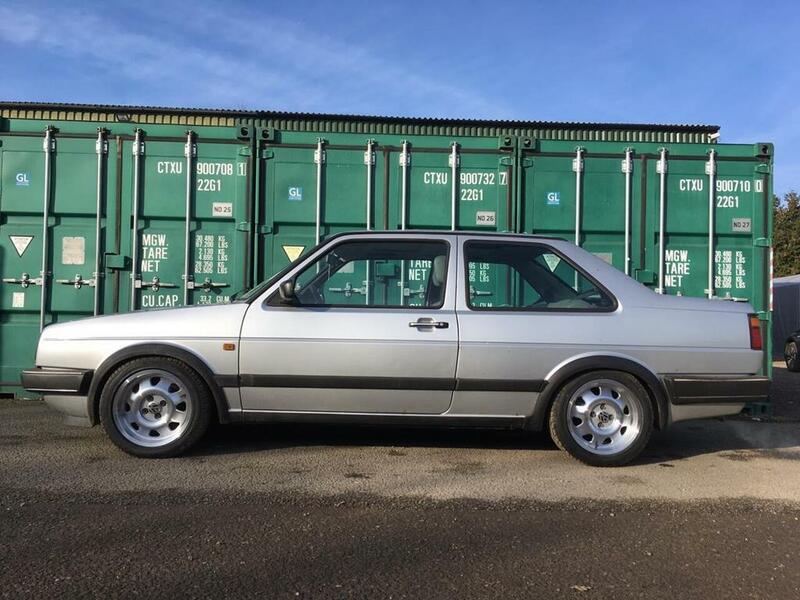 Very rare European imported 2-door model never sold in the UK (so LHD) with 1.8 injection engine and 5-speed gearbox. 177k kilometres, which equates to 110,000 miles. Several spare keys. BC Racing adjustable coilover lowering kit fitted - cost over £800. Can be dropped up to 70mm. GTI black wheel arches fitted, ATS 15-inch Cup wheels professionally refurbished and new Falken tyres fitted - tyres, wheels and suspension fitted less than 10 miles ago. The Jetta was imported and featured in an upcoming new car TV show on Dave. During its MOT it had 4-wheel alignment done so the car drives properly. Car comes with its factory steel wheels and suspension to return to stock if you so wish. Original silver bodywork showing some minor surface scabs which would probably benefit from a machine polish. Original interior is near immaculate. The radio is not wired in and it will need an aerial. Recent oil and plugs service. Jetta comes with a spare front grille, headlights and only has a few minor niggles to make truly fantastic. Stuff like a new plastic clip on the driver's seat runner, driver's cable release and bumper plastic polish. Just passed its first UK MOT (24 Jan). Lots of original history and paperwork with the car that the new buyer can send to the DVLA to easily apply for first UK Registration and V5C. An honest car worth far more come summer. Buy and enjoy immediately or take to the next level. Runs, drives, stops perfectly but will need to be traillered home due to no UK reg. See here for HERE for photos on Dropbox. I can’t see a price , so i’ll start the bidding at a packet of Hobnobs , chocolate of course & a half eaten packet of Custard creams . Sounds like a nice motor !! So sorry, completely forgot to add that! 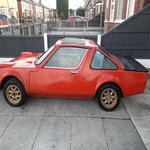 Have now added the price £4k ono. You need a price & location in the title as well , or it’ll get removed .